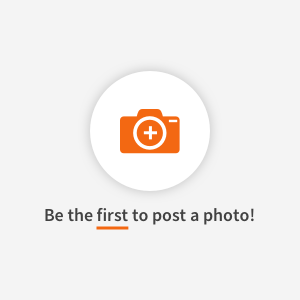 Find healthy, delicious Christmas non-alcoholic drink recipes, from the food and nutrition experts at EatingWell. 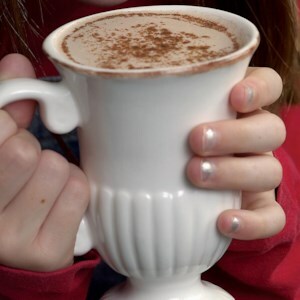 This healthier cup of hot chocolate uses low-fat milk, natural cocoa powder and just enough sugar to sweeten things up without going overboard on calories. As an added bonus, the milk provides a healthy serving of protein and calcium, which you won't get from sugar-loaded powdered hot-chocolate mixes prepared using water. Spice it up with an add-in like orange zest, cinnamon or vanilla for a delicious twist on this classic treat. 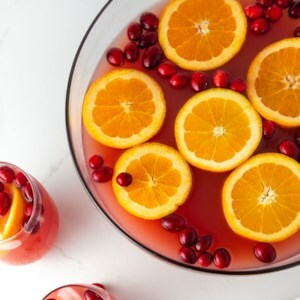 This gorgeous fruity punch is perfect for any party--serve it on its own for a fun mocktail that will please kids and adults alike. Or, set out optional alcoholic mix-ins, like tequila and/or vodka, for a mix-your-own cocktail station. Chai tea and fruit juices make this festive hot drink a must-serve at your next holiday gathering. 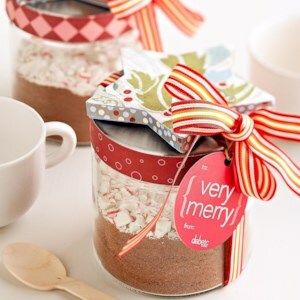 Put together this tasty Peppermint Hot Cocoa mix in a festive jar for a stocking stuffer or fun holiday gift. 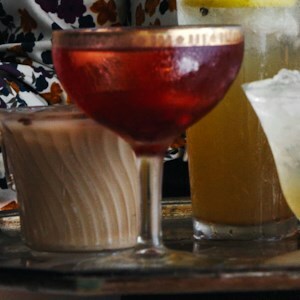 This nonalcoholic punch recipe tastes like a cocktail but doesn't include a hangover. Perfect for the holidays or a brunch. This simple-syrup recipe will take your cocktails to the next level. 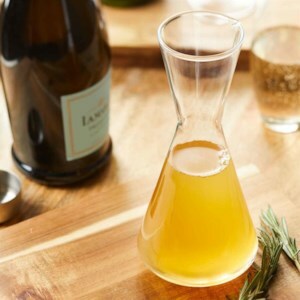 Honey makes the sweet base for this 4-ingredient syrup that is enhanced with fresh rosemary and ginger. 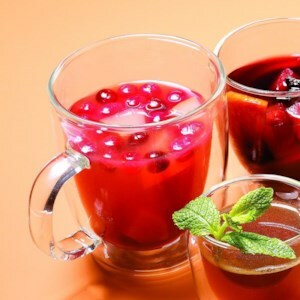 Refreshingly tangy, this shrub drink recipe combines fruits, vinegar and sparkling water. 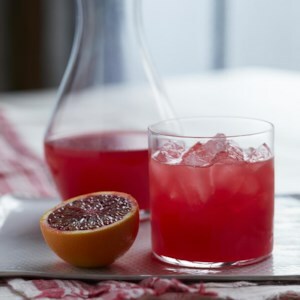 This cocktail recipe from Healdsburg SHED mixologist Jordan Lancer in California takes advantage of in-season blood oranges for a brilliantly colorful drink. This scrumptious nonalcoholic punch adds pear, cranberries and vanilla to the traditional hot cider. 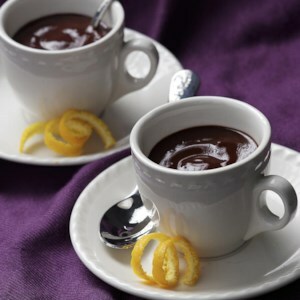 Rich, creamy and thick enough that you may want to scoop it with a spoon, this European-style drinking chocolate is something different from the usual hot cocoa. Serve it in a demitasse or espresso cup for an elegant treat. This spiced hot chocolate warms you from within. 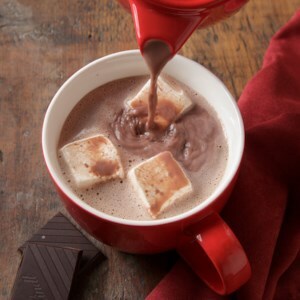 Our hot cocoa is rich and chocolaty without the overly sweet taste of some packaged mixes. We give it a luxurious froth with a whisk or blender--or use a cappuccino frother if you have one. 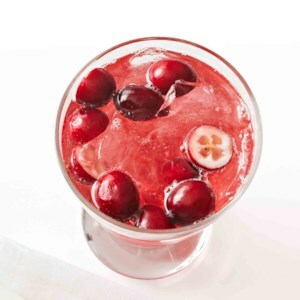 Orange zest and cinnamon infuse this warm apple-cranberry drink with lots of holiday flavor. 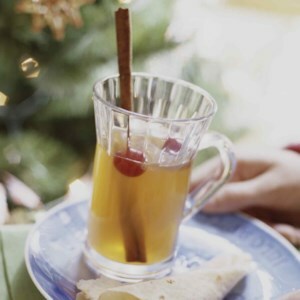 Cinnamon, cloves and ginger infuse apple cider with fall flavor. Satisfy your chocolate craving with this quick low-carb hot cocoa. An ideal accompaniment to spicy Caribbean food. Whipping this otherwise old-fashioned hot chocolate creates the illusion of creaminess. 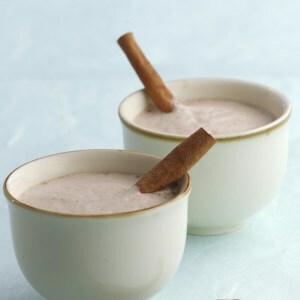 To vary this recipe, substitute 1 tablespoon brandy for the liqueur and omit the cinnamon. This custard-based version of eggnog cooks the eggs, making any concerns of food-borne illness a thing of the past!